Ko Pha Ngan is located in the Gulf of Thailand and is the premier backpacking destination in Southeast Asia (for good or ill). Tourists started discovering this area in the 1980’s, and due to the fame of the Full Moon Parties, it has been popular ever since. There are tons of beautiful beaches, but be prepared for a lot of partying at this destination. You can escape the madness that is Haat Rin (location of the Full Moon Party), and head to the northern or eastern beaches on the island. They tend to be a lot more low-key and relaxed than busy Haat Rin. Snorkel trips usually run from 11 am-5 pm and include transportation by boat, snorkeling, swimming, and lunch for about 475-675 THB. You meet tons of people on them as well. There is also a tour called the Munchies Tour and another called the Reggae Tour and both include, as you might guess, marijuana. 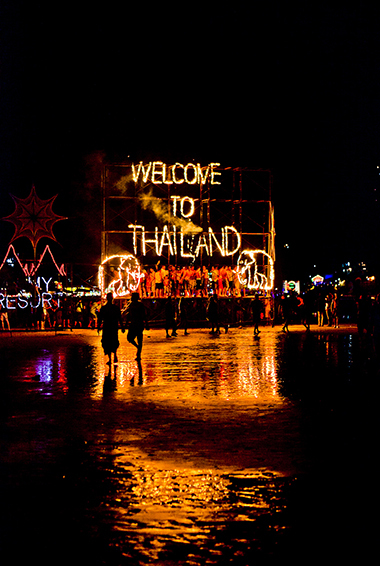 The Full Moon Party is a giant beach rave with a lot of drinking, dancing, and partying. Each bar has its own sound system, the beach is lined with people selling alcohol, fire dancers put on shows, and little booths sell glow-in-the-dark face paint as kids run up. If you miss it, there’s always the half moon party, quarter moon party, and black moon party. 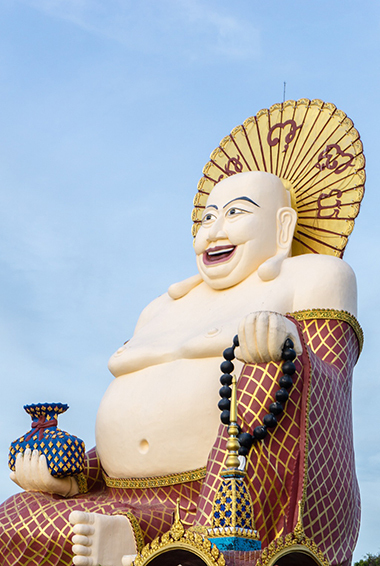 Thailand is covered with temples of varying religious denominations, and Ko Pha Ngan is no exception. 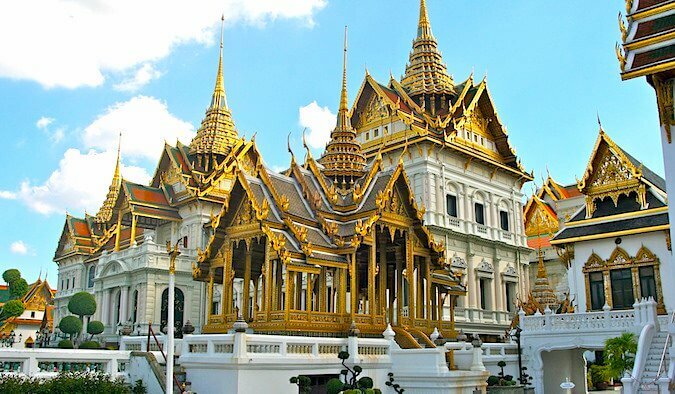 If you haven’t gotten your fill of culture yet, visit some of them. They are beautiful windows into Thai religion and make for great photo opportunities. Had Rin is the most developed beach on the island but, with over 30 beaches to choose from, you can have anything from touristy and developed, to deserted and secluded beaches all to yourself. 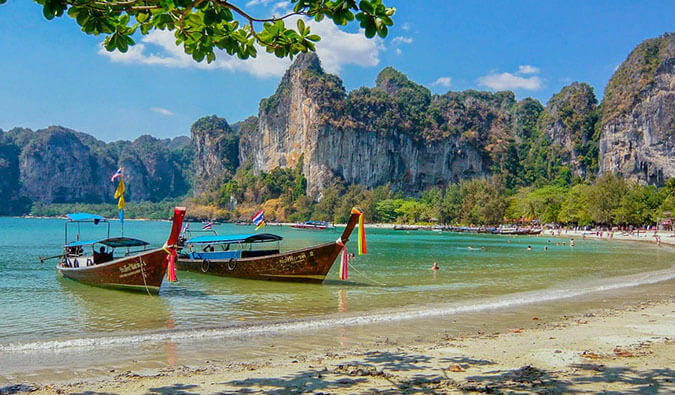 Thong Nai Pan is one of my favorites, with white sand and calmer waters. 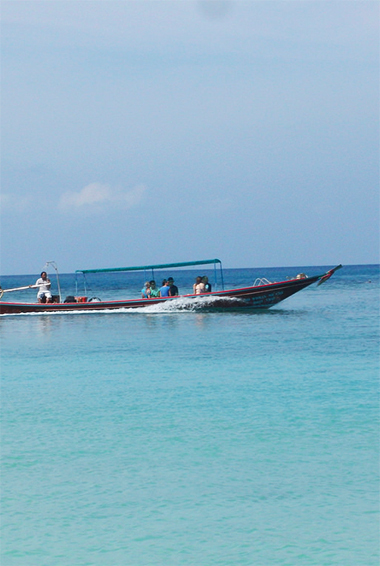 Boat trips can be arranged through a variety of resorts and companies around the island. 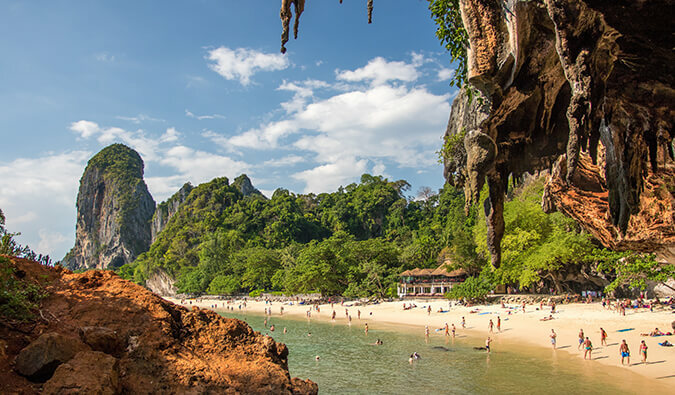 Some of the best itineraries include visits to the Than Sadet Waterfall, Thong Nai Pan, and Bottle Beach (Haad Khuat). Usually, you’ll have lunch included on these excursions. Close to Haat Rin in the direction of Baan Tai, take a turn off to the right where you see the sign stating “river on stone” natural pool, and you will find yourself at the Sramonora waterfall. It is a little out of the way to get to, but definitely worth the trek. There is also a resort close by, with a little restaurant if you get hungry. The island is also home to a couple of yoga schools where you can go to relax and revitalize your body. Depending on how much time you have and how serious you are you can go for a single lesson or stay there for six months learning to be a yoga instructor. You can drop in for a class for as little as 300 THB, or be more ambitious and get 10 class passes for around 2,500 THB. Just on many of the other islands, it’s possible to rent a sea kayak and head out on the water. Head out for an hour of paddling, or be more ambitious and do an organized day tour. You can find kayaks on nearly every beach, with most starting at around 100-150 THB per hour. 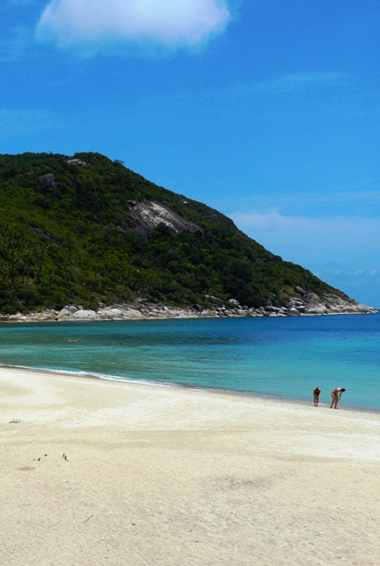 The West coast, from Wok Tum to Koh Ma offers some of the best kayaking waters to beach hop. Muay Thai has gained international fame as a Thai martial art, and it’s a thrilling and disciplined sport. It is known as “The art of using eight limbs”, as fighters use fists, knees, elbows, and shins. You can catch a fight in one of the island’s three stadiums, or sign up for a lesson and learn it yourself. You can even attend a Muay Thai camp here! A one session class starts at about 300 THB, whereas a week’s stay at the camp is about 2,000 THB. Thai food has got to be one of the best cuisines in the world, and many tourists come here and just eat and eat and eat. But why not take it an extra step, and sign up for one of the island’s numerous cooking classes? Most classes begin with a visit to the local market, and they always end with a tasty meal! Ko Pha Ngan also has its share of waterfalls, although some are only seasonal, and dry up part way through the year. If you’re up for some hiking, making your way to one of these for a secluded getaway from the beach party scene. It’s not the top place in Thailand for diving, but there are still some good options. Sailrock is a very well-known dive site in the area: a rock that pierces the water, and creates the opportunity for a great wall dive down to 130ft. 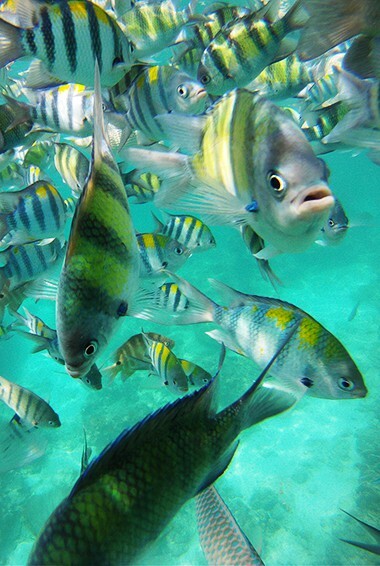 The island has a couple of schools offering PADI-courses. 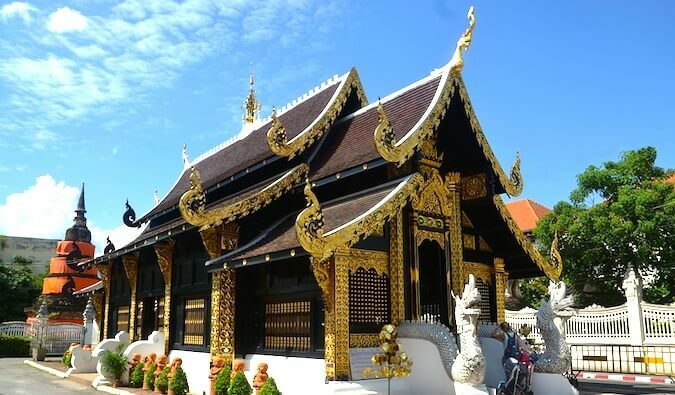 The Thai Culture Center offers a variety of classes that you can take to learn more about the traditions of the people of Ko Pha Ngan. Learn how to make pad thai in a cooking class, pick up a few words in a language class, or strike a new pose in a yoga class. 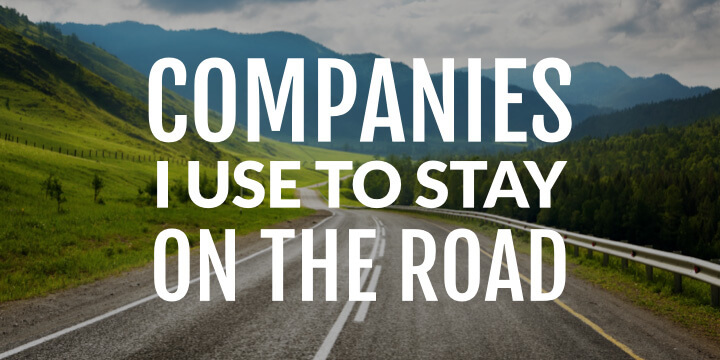 There are a variety of options to choose from! The Pha Ngan Heritage Garden has over 2,000 species of Thai vegetation, with over 200 different types of water lilies alone! The ponds boast giant carp, and there is what claims to be (and I believe it!) the only Siamese Fighting Fish and Guppy Fish Museum in the South of Thailand. There is a 50 THB donation required to enter the gardens. If heights are your thing, Just for Fun Canopy Adventure offers sweeping zip lines and tree bridges up to 22m up! The full course takes about 45 minutes, and you can grab a drink afterward at their Fish Spa. It costs 800 THB per person. Hostel prices – Over the last few years, hostels have become a lot more popular on the island. You can find large dorm rooms with 18-20 beds starting at 100 THB. 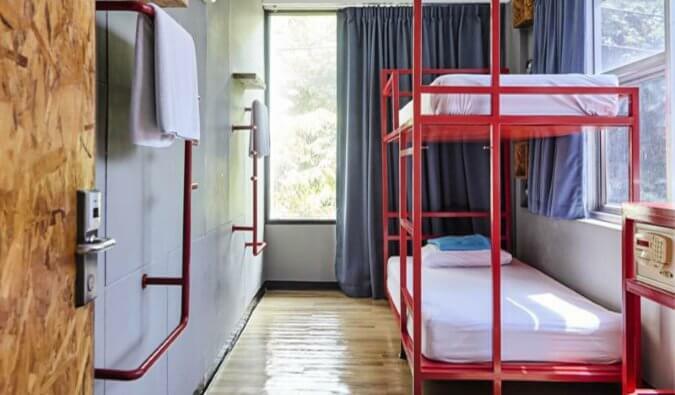 You can find 6-bed dorm rooms for around 200 THB per night. You can find private rooms that sleep two people at 675 THB and they generally go as high as 1,200 THB. One of the most unique places to stay on the island is called The Sanctuary, which is a yoga retreat that also rents out beds to people looking for a nice beach view. Budget hotel prices – There are tons of guesthouses, beach bungalows, and villages. Beachside bungalows start at 450 THB per night and go up from there. For a more luxurious bungalow, expect to spend about 1,600-1,800 THB. Cheap rooms can be found for around 400 THB per night. During New Year’s and the Full Moon Party, prices increase by about 30%, so be prepared if you plan on attending. A good hotel to stay in is Neptune’s Villa, which has well-priced luxury rooms right on the beach. On Airbnb, you can find a good number of shared rooms in apartments for 450 THB per night. There’s also a wide selection of entire apartments/homes, with many falling in the 700-1,600 THB range per night. Average cost of food – You can find local meals for around 50-60 THB. A meal at most tourist restaurants, especially around Haat Rin, will run you about 100-170 THB per meal for Thai food. Western meals will cost closer to 230 THB. I’d skip the Western food and stick with Thai food, it’s much cheaper and is much tastier. When drinking, you can go get cheap beers at 7-Eleven and bring them onto the beach to drink. A single beer will cost about 25 THB compared to 90-100 THB at a bar. 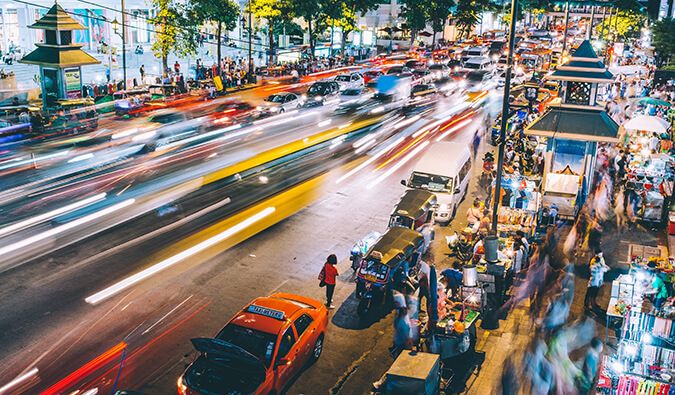 Transportation costs – Songthaews (pick-up truck taxis) will take you across the island for around 120 THB a ride, or 170 THB for less accessible destinations. The tuk-tuk mafia runs the show here so don’t try to bargain down. They have set their prices and don’t really offer deals unless there are a lot of people involved. Alternatively, you can rent motorcycles around the island for 150–250 baht per day. Find deals on a room – As a general guide, the further you walk along the beach to the last resort, the better and quieter of a deal you get! If you are coming near the Full Moon Party, arrive at least three days prior to secure yourself a decent place. Time your trip wisely – If you come during the Full Moon Party or Half Moon Party, expect prices to skyrocket! You can pay double or triple what you normally would. My favorite time to visit is about a week before the party when there is just the right number of people on the island. Drink cheaply – Buckets, the famous alcohol-filled sand pales, cost a lot of money. Save them until later (and save yourself from passing out too!). You can go get cheap beers at 7-Eleven and bring them onto the beach. A single beer will cost about 25 THB compared to 90-100 THB at a bar. 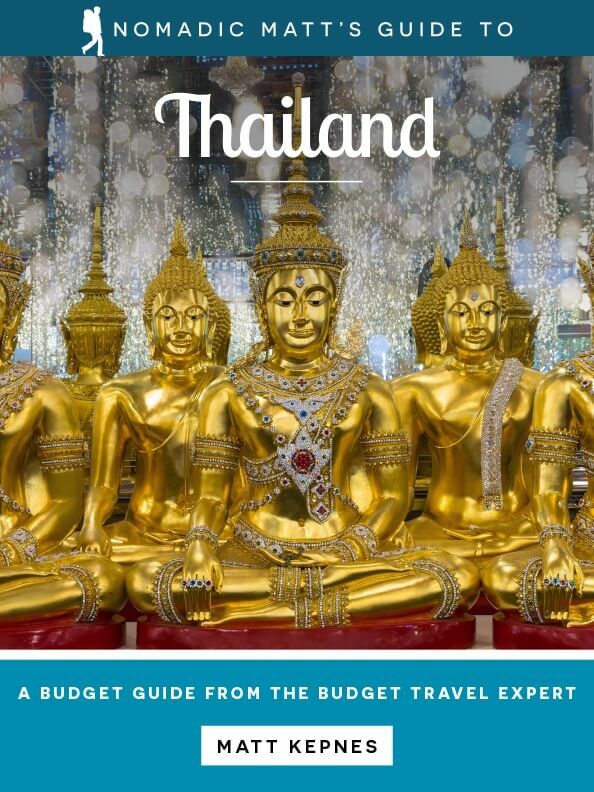 GO DEEPER: Nomadic Matt’s In-Depth Budget Guide to Thailand! 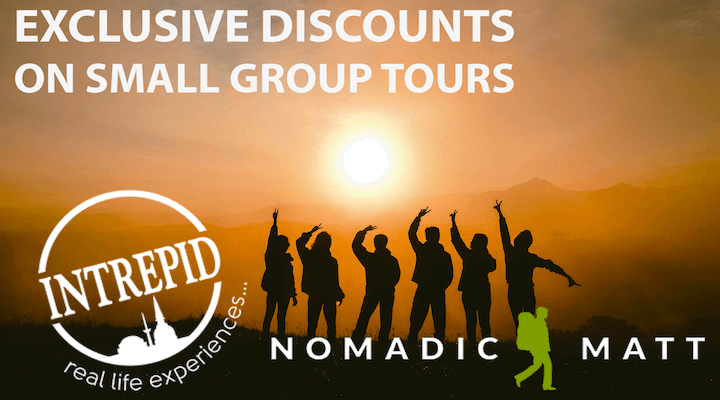 I spent over two years living in Thailand and run tours through the country. I know the country like back of my hand. 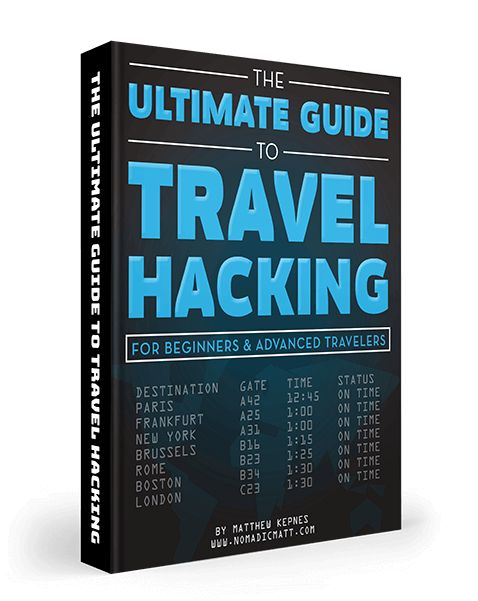 Go deeper with my detailed digital guidebook made for budget travelers like you! 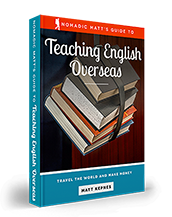 This book gets straight to the practical information you need for your trip to Thailand. I get to the good stuff that has made me a NYT best selling writing. 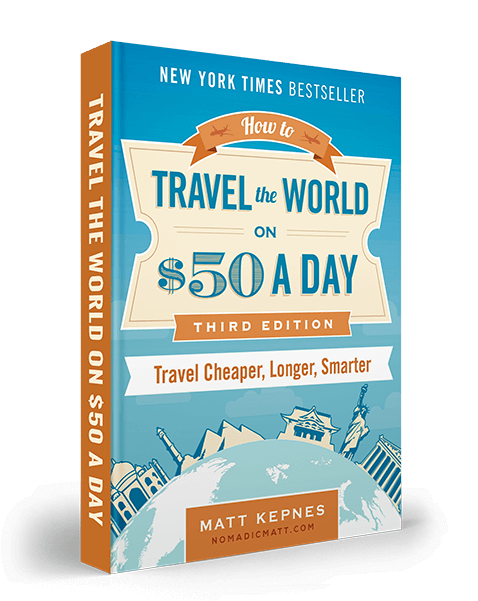 In this book, you’ll have all the above information plus suggested itineraries, budgets, more ways to save money, far more on and off the beaten path things to see and do, detailed transportation and getting around information, island and region profiles, my favorite non-touristy restaurants, markets, bars, attractions, and much more!! 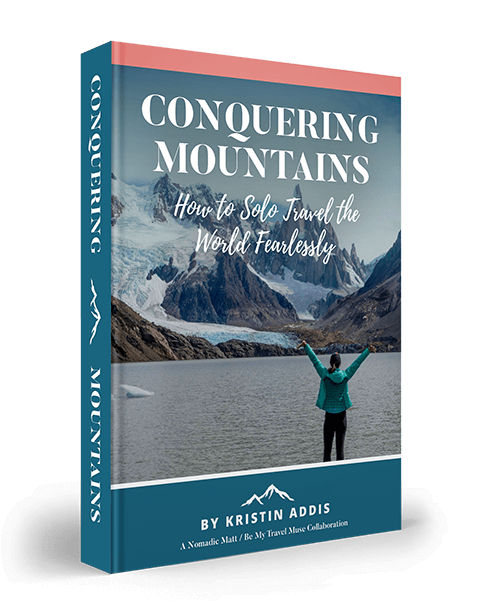 Just click here to learn more and download the guide.